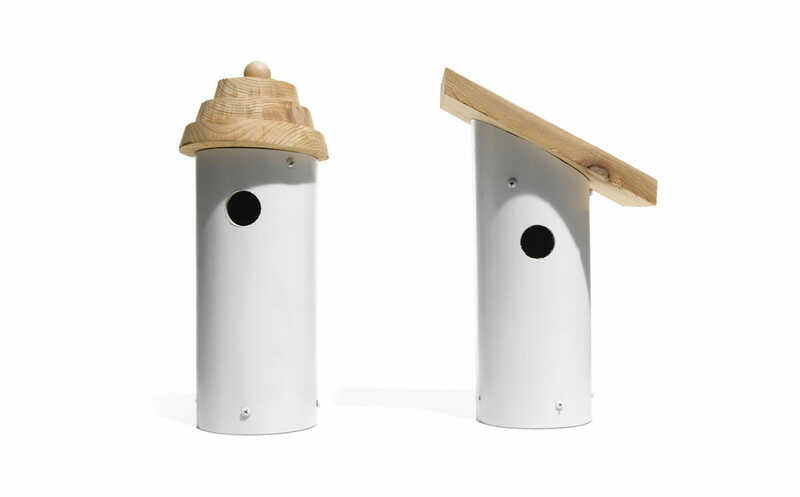 This simple birdhouse provides all of that for the birds as well as a clean, modern design for you. 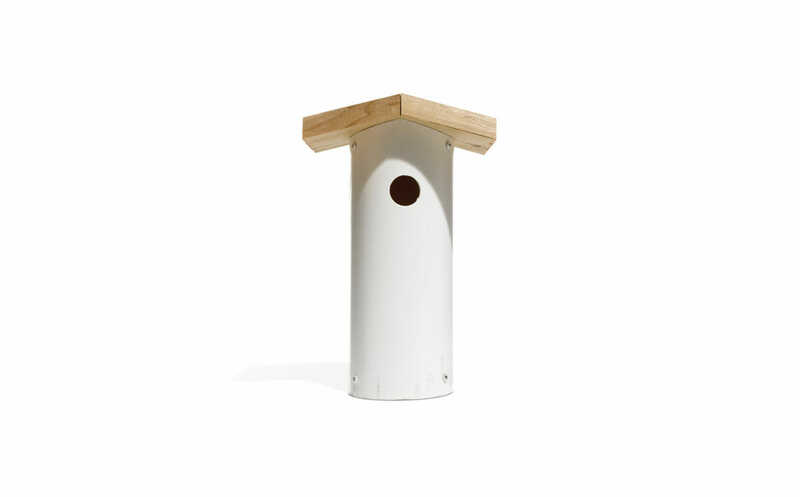 This simple birdhouse provides all of that for the birds as well as a clean, modern design for you. This simple shed roof design accommodates chickadees, house wrens, nuthatches and other small birds. A tip: Different species of birds like different sizes of houses and entry holes. If you’re trying to attract a specific bird species, do a little homework. One great reference book is called “Woodworking for Wildlife” by Carrol Henderson. Here’s how to build a simple shed roof birdhouse. All you need are a short length of 4-inch PVC pipe and a 2-foot-long, 1-inch-by-6-inch cedar board, both available at home centers. 1. 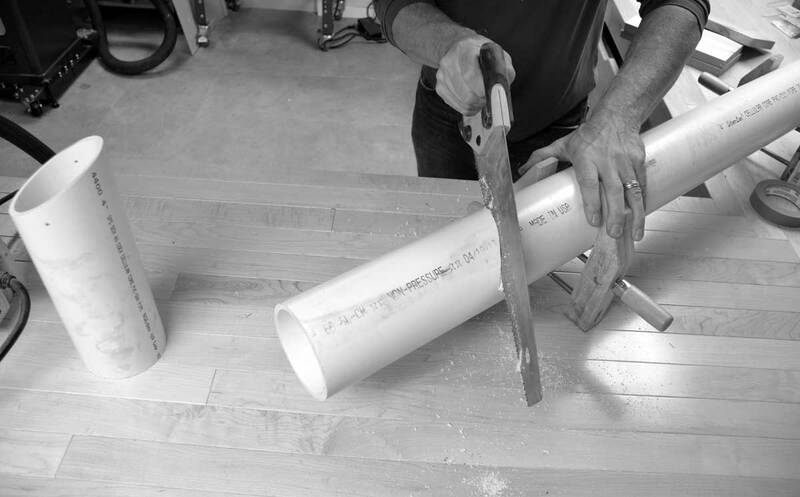 Cut a piece of 4-inch PVC pipe to about 12 to 14 inches long, measured to the longest point of the roof slope. We cut an angle of about 30 degrees, but any angle from 10 to 40 degrees will work. Make the cut using a handsaw, hand miter saw or power miter saw. 2. 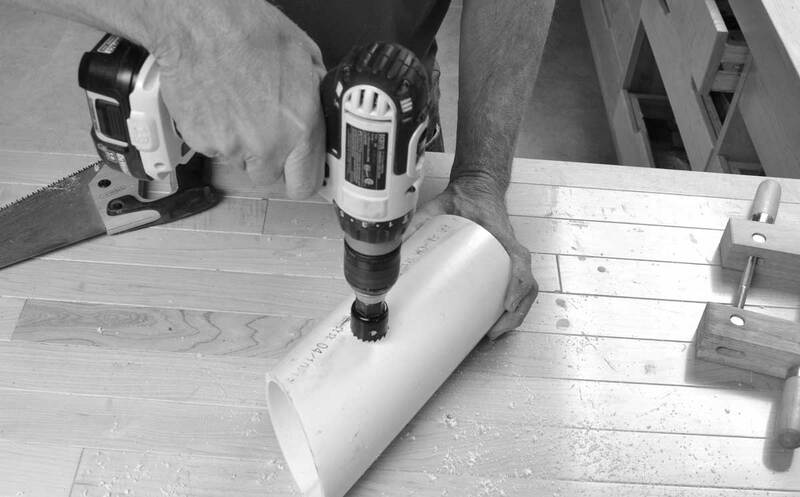 Drill the entrance hole using a drill and 1.25-inch hole saw. Position the bottom of the hole 7 to 8 inches above the bottom of the pipe. Drill three 0.25-inch holes in the bottom for ventilation and drainage. Insert the upper disc, keeping it as close to the top of the pipe as you can without hitting the slope of your roof. 4. Cut your wooden roof to the desired length and shape. Position the back of the roof so it’s even with the back of the pipe (for mounting purposes). Secure the roof to the sloped end by driving three screws through the roof into the top mounting disc, making sure the screws don’t poke through the bottom of the disc. To mount the house, drill two holes in the back side – one in the 0.5-inch bottom recess, the other in line with the entrance hole – then secure it to a tree or post, 5 to 15 feet off the ground, using 3-inch screws. Install the upper screw by inserting a screwdriver through the entrance hole. You can easily modify the basic design to make the other houses shown or to build one of your own creation. Cut and install the bottom and top mounting discs regardless of which version you build. – To make the three-tiered version, cut 5.5 inch, 3.5 inch and 2.5 inch in diameter discs with your jigsaw set at 15 degrees. Screw the large disc to the top mounting disc, then glue and nail the other two discs in place. 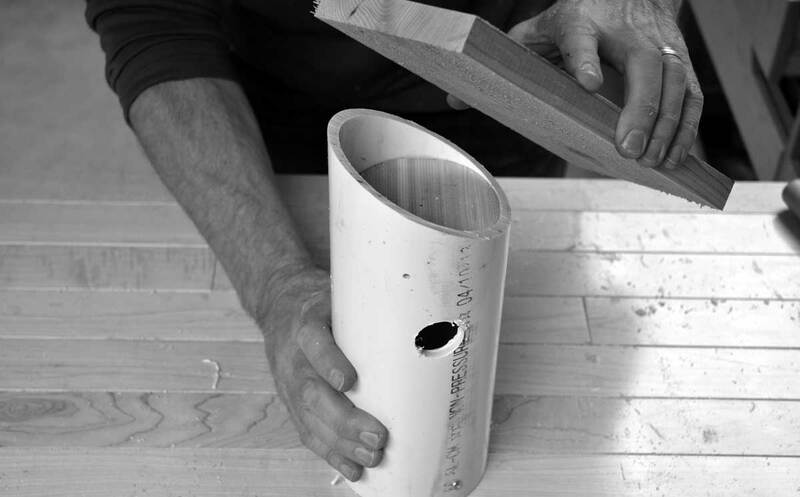 – To create a gable roof, cut the top of your pipe to a point, then cut the two roof sections the same angle. A power miter saw comes in handy for this version. – Some birds prefer to have 3 or 4 inches of nesting material in the bottom of their dwelling. Increase the livability of your house by layering several inches of grass or wood shavings in the bottom. 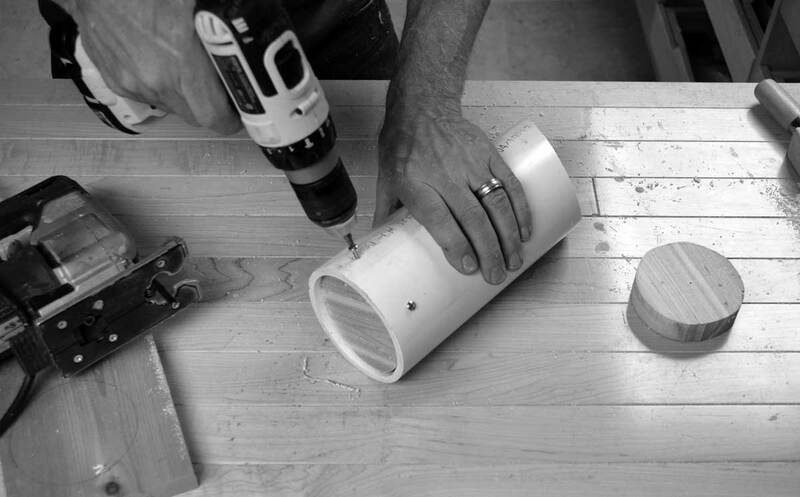 Spike Carlsen is a carpenter, woodworker and author. His most recent book is “The Backyard Homestead Book of Building Projects“ (Storey).